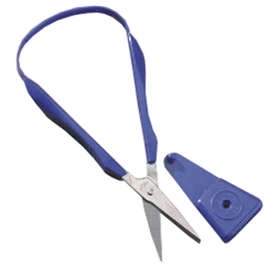 The Pointed Easi-Grip® Scissors have been specially designed for those with weak hands. The spring loaded scissors make cutting easier. The Easi-Grip is lightweight, and features easy to grip plastic handles and stainless steel pointed blades, 45mm (1¾") in length. Suitable for both left and right handed users.